Mercian Evolution 0.1 Goalkeeper large left and right hand Deflectors gloves. Condition is used but excellent! Well looked after gauntlets. Great level of protection. Selling as I recently have ended up with 2 pairs. Fast dispatch, get used to new kit during summer league! Robo leg guards and kickers also listed. Any questions please ask. Adidas Pro Hockey Glove (Left Hand) - Medium. Condition is New. Dispatched with Royal Mail 2nd Class. Full fingered, Pink and Black. Grays Skinful Black Hockey Gloves Size Medium. Condition is New, not even opened. Can be used for running, hockey or just as a thin pair of gloves etc. Dispatched with Royal Mail 2nd Class. Grays Hockey Anotomic Glove Left Hand The Grays Anatomic Glove Left Hand is the favorite choice of hockey internationals and provides the following benefits: Covers and protects fingers and knuckles, Perfect fitting, No more abrasions from artificial grass. Condition is New. PRODUCT DETAILS G500 GEL GLOVES New colour additions. 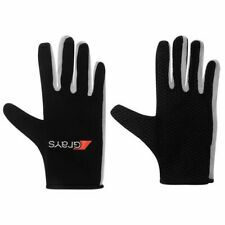 - Impact absorbing gel layer for excellent rear hand protection. - Full finger gloves with textured grip pattern on the palm to help grip the stick in wet conditions. Adidas Pro Hockey Glove (Left hand) - Large. Condition is New. Dispatched with Royal Mail 2nd Class. Full glove design. High Density Foam protection with ergonomic shape. The half finger Anatomic Pro left hand hockey glove from Grays. Climagrip fabric on the palm allows a better grip in both wet and dry conditions. while providing breathability for complete comfort. provides excellent back of hand protection. Now no longer plays hockey. Gloves bought for daughter who never used them. High Density foam knuckle guard, Synthetic half Palm. Natural curved shape for a great ergonomic fit. Light weight and durable construction. Natural curved shape. Kookaburra Revive Hockey Gloves - Size Medium - Brand New.